Carl Dickman loved his family, the town of Fairfield and the Boston Red Sox. The former selectman and state representative also loved the game of golf, so town officials Wednesday felt it would be a fitting tribute to name something at the town's H. Smith Richardson Golf Course in his honor. 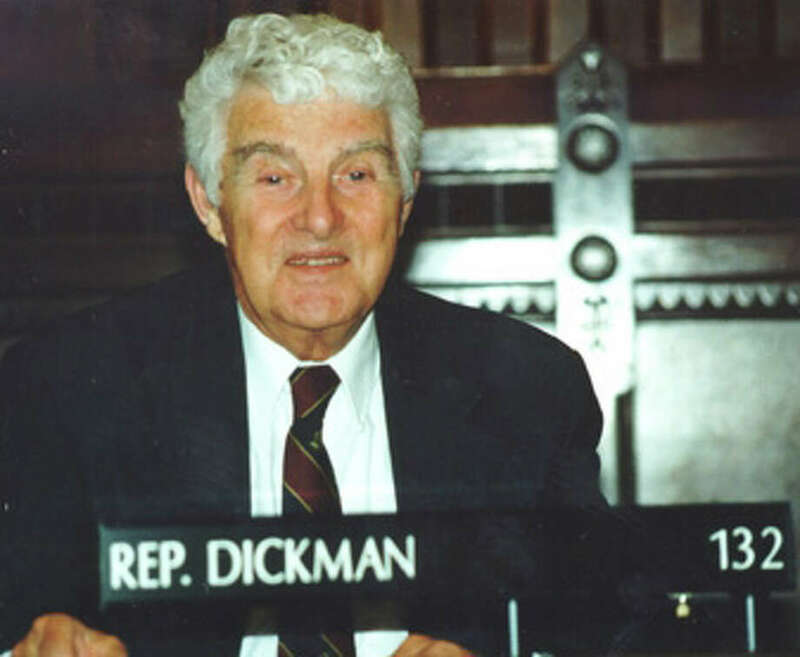 Dickman, a longtime public servant -- including service as a Fairfield selectman and state representative -- died last month at age 84. The Board of Selectmen agreed to send a letter to the Golf Commission asking for its members comments' on the suggested memorial tribute, but First Selectman Kenneth Flatto said it appears the selectmen have the authority to rename a part of the golf club's facilities, such as the clubhouse or driving range. Thomas Flynn, the chairman of the Board of Finance, told the selectmen that Dickman's legacy will continue to have an impact on local public service for years to come. He taught many elected officials, Flynn said, "how to conduct themselves and I think that's what we have to honor." Dickman had served as Flynn's campaign manager, a role he was going to take on again in this November's municipal election, Flynn said. Town Clerk Betsy Browne said she had known Dickman, a fellow Republican, since she was a girl. "Something at the golf course would be appropriate," she said. Dickman had fond memories of the town's public links, Republican Registrar of Voters Roger Autuori said, and even bemoaned the fact that golfers no longer have to go wait at the course in the early mornings to secure a weekend tee time because he missed the camaraderie. For Selectman James Walsh, and many other elected officials in Fairfield, another enduring part of Dickman's legacy was his comprehensive knowledge of Robert's Rules of Order and his willingness to teach those guidelines to anyone who asked.